The provisions of the New Mexico statutes that permit the filing of mechanics liens and materialman's liens can be found in New Mexico's Construction Lien Law, N.M.S.A. § 48-2-1 et. seq. 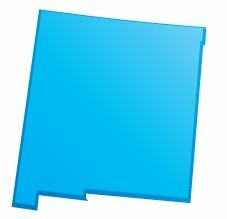 The full text of the New Mexico Construction Lien Law is provided below, and has been updated as of 2011. To see a quick synopsis of the most important provisions, take a look at our New Mexico Frequently Asked Questions page. A lien is a charge imposed upon specific property, by which it is made security for the performance of an act. Every person performing labor upon, providing or hauling equipment, tools or machinery for or furnishing materials to be used in the construction, alteration or repair of any mine, building, wharf, bridge, ditch, flume, tunnel, fence, machinery, railroad, road or aqueduct to create hydraulic power or any other structure, who performs labor in any mine or is a registered surveyor or who surveys real property has a lien upon the same for the work or labor done, for the specific contract or agreed upon charge for the surveying or equipment, tools or machinery hauled or provided or materials furnished by each respectively, whether done, provided, hauled or furnished at the instance of the owner of the building or other improvement or his agent. Every contractor, subcontractor, architect, builder or other person having charge of any mining or of the construction, alteration or repair, either in whole or in part, of any building or other improvement shall be held to be the agent of the owner for the purposes of this section. A. The provisions of Subsections B through D of this section do not apply to claims of liens made on residential property containing four or fewer dwelling units, to claims of liens made by an original contractor or to claims of liens made by mechanics or materialmen who contract directly with the original contractor. For purposes of this section, “original contractor” means a contractor that contracts directly with the owner. (2) the original contractor, if any. (4) the name and address of any bonding company or other surety that is providing either a payment or performance bond for the project. (3) the name and address of the person with whom the claimant contracted or to whom the claimant furnished labor or materials, or both. E. A person required by the provisions of Subsection B of this section to give notice to enforce the person’s claim of lien may elect not to give the notice, but may give the required notice at a later time. If the person elects to do so, the lien shall apply only to the work performed or materials furnished on or after the date thirty days prior to the date the notice was given. The provisions of Subsections C and D of this section apply to any notice given under this subsection. Click Here to File a New Mexico Document. Any person who, at the request of the owner of any lot in any incorporated city or town, grades, fills in or otherwise improves the same, or the street in front of, or adjoining the same, has a lien upon such lot for his work done and materials furnished. The land upon which any building, improvement or structure is constructed, together with a convenient space about the same, or so much as may be required for the convenient use and occupation thereof, to be determined by the court on rendering judgment, is also subject to the lien, if at the commencement of the work, or of the furnishing the materials for the same, the land belonged to the person who caused said building, improvement or structure to be constructed, altered or repaired, but if such person owned less than a fee simple estate in such land, then only his interest therein is subject to such lien. A. The liens provided for in Sections 48-2-1 through 48-2-17 NMSA 1978 are preferred to any lien, mortgage or other encumbrance which may have attached subsequent to the time when the building, improvement or structure was commenced, work done or materials were commenced to be furnished; also to any lien, mortgage or other encumbrance of which the lienholder had no notice and which was unrecorded at the time the building, improvement or structure was commenced, work done or the materials were commenced to be furnished. B. Liens filed by registered surveyors shall have priority equal with other mechanics’ and materialmen’s liens, but work performed by registered surveyors shall not constitute the commencement of construction. Every original contractor, within one hundred and twenty days after the completion of his contract, and every person, except the original contractor, desiring to claim a lien pursuant to Sections 48-2-1 through 48-2-19 NMSA 1978, must, within ninety days after the completion of any building, improvement or structure, or after the completion of the alteration or repair thereof, or the performance of any labor in a mining claim, file for record with the county clerk of the county in which such property or some part thereof is situated, a claim containing a statement of his demands, after deducting all just credits and offsets. The claim shall state the name of the owner or reputed owner, if known, and also the name of the person by whom he was employed, or to whom he furnished the materials, and shall include a statement of the terms, time given and the conditions of the contract, and also a description of the property to be charged with the lien, sufficient for identification. The claim must be verified by the oath of himself or of some other person. In every case in which one claim is filed against two or more buildings, mining claims or other improvements owned by the same person, the person filing such claim must at the same time designate the amount due to him on each of such buildings, mining claims or other improvements, otherwise the lien of such claim is postponed to other liens. The lien of such claimant does not extend beyond the amount designated as against other creditors having liens, by judgment, mortgage or otherwise, upon either of such buildings or other improvements, or upon the land upon which the same are situated. The county clerk shall make a record of a claim that shall be indexed as deeds and other conveyances are required by law to be indexed and for which the county clerk may receive the same fees as are allowed by law for recording deeds and other instruments. Any claim, the form of which complies with the requirements of Chapter 48, Article 2 NMSA 1978, shall be entitled to be filed of record. A. The owner of any building, mining claim, improvement or structure subject to a lien under Sections 48-2-1 through 48-2-17 NMSA 1978 or an original contractor having a contract with that owner may petition the district court for the county in which the property or a part of it is located for an order canceling the lien. B. Upon the filing of the petition, the district court judge shall examine the lien claimant’s recorded demands and determine an amount sufficient to satisfy the recorded demands and any other damages, court costs or attorney fees that may be recovered by the lien claimant. Security, in the amount set by the judge and of a type approved by the judge, shall be deposited by the owner of the property or original contractor with the district court conditioned on the payment of any sum found to be validly due to the lien claimant. An owner or original contractor may not provide a single security for the cancellation of the lien of more than one claimant. C. When the security is deposited under this section, the judge of the district court shall immediately issue an order canceling the lien and shall notify the county clerk with whom the lien was filed. Upon the recording of the order, the county clerk shall mark the filed lien as canceled. When an order is issued under this subsection, the claimant’s lien attaches to the security and is enforceable as to the security in the district court in which it is deposited to the same extent as any other lien provided for in Sections 48-2-1 through 48-2-17 NMSA 1978. No lien provided for in Sections 48-2-1 through 48-2-17 NMSA 1978 remains valid for a longer period than two years after the claim of lien has been filed unless proceedings have been commenced in a court of competent jurisdiction or in binding arbitration within that time to enforce the lien. A contingent payment clause in a contract shall not be construed as a waiver of the right to file and enforce a mechanic’s or materialman’s lien pursuant to Sections 48-2-1 through 48-2-17 NMSA 1978. Every building or other improvement mentioned in the second section of this article, constructed upon any lands with the knowledge of the owner or the person having or claiming any interest therein, shall be held to have been constructed at the instance of such owner or person having or claiming any interest therein, and the interest owned or claimed shall be subject to any lien filed in accordance with the provisions of this article, unless such owner or person having or claiming an interest therein shall, within three days after he shall have obtained knowledge of the construction, alteration or repair, or the intended construction, alteration or repair, give notice that he will not be responsible for the same, by posting a notice in writing to the effect, in some conspicuous place upon said land, or upon the building or other improvement situated thereon. The contractor shall be entitled to recover upon a lien filed by the contractor only such amount as may be due to the contractor according to the terms of the contract, after deducting all claims of subcontractors under the contractor who have filed liens for work done and materials furnished, and during the pendency of the action, the owner may withhold from the contractor the amount of money for which the lien is filed unless the lien was asserted as a result of the owner’s failure to pay the contractor for work done and materials furnished, and in case of judgment against the owner or the owner’s property upon the lien, the owner shall be entitled to deduct from any amount due or to become due by the owner to the contractor the amount of the judgment. If the amount of the judgment exceeds the amount due by the owner to the contractor, or if the owner settles with the contractor in full, the owner shall be entitled to recover back from the contractor any amount paid by the owner, in excess of the contract price, and for which the contractor was originally the party liable. And the proceeds of the sale of the property must be applied to each lien, or class of liens, in the order of its rank, and whenever, on the sale of the property subject to the lien, there is a deficiency of proceeds, judgment may be docketed for the deficiency in like manner, and with like effect as in actions for the foreclosure of mortgages. Any number of persons claiming liens may join in the same action, and when separate actions are commenced, the court may consolidate them. A prevailing party in a dispute arising out of or relating to a lien action is entitled to recover from the other party the reasonable attorney fees, costs and expenses incurred by the prevailing party. Whenever materials shall have been furnished for use in the construction, alteration or repair of any building or other improvement, such materials shall not be subject to attachment, execution or other legal process, to enforce any debt due by the purchaser of such materials, except a debt due for the purchase-money thereof, so long as in good faith the same are about to be applied to the construction, alteration or repair of such building, mining claim or other improvement. Nothing contained in this article shall be construed to impair or affect the right of any person to whom any debt may be due for work done or materials furnished to maintain a personal action to recover such debt against the person liable therefor. Unpaid premiums or charges for the furnishing of workmen’s compensation insurance furnished to any contractor or subcontractor, who is required by the terms of his contract or by law to obtain and carry such insurance, shall be and is hereby defined to be material furnished to the contractor or subcontractor for use in the performance of the contract, and the person, firm or corporation so furnishing the same shall have the same rights and remedies against any performance bond given in connection with such contract as if the workmen’s compensation insurance so furnished were physical property, and as though a lien had been filed against the improved premises, but shall have no lien against the improved premises.